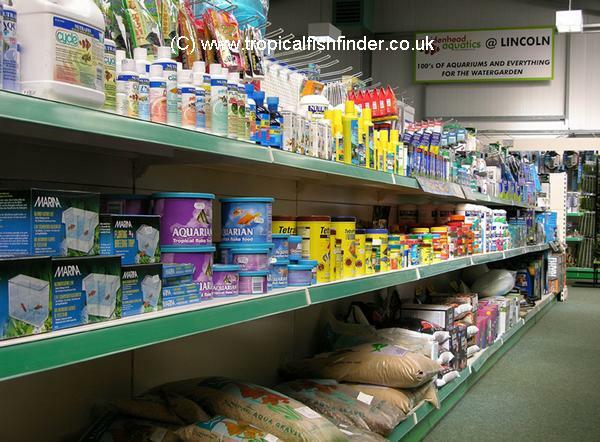 Conveniently located in a good-sized popular garden centre just 50 yards off of the A46 Lincoln bypass, Maidenhead Aquatics @ Lincoln offers a superb range of livestock and associated products. Our welcoming indoor area is well laid out and is home to a great variety of tropical freshwater fish and fancy goldfish. 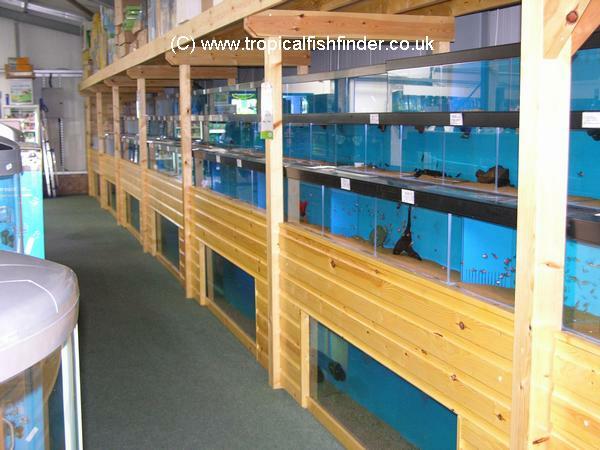 Here you will also find an excellent selection of tanks and cabinets, plus all other aquatic dry goods. There is a fabulous selection of pond plants (seasonal) to be found in our covered outdoor area, plus a large number of coldwater fish, including enclosed-system koi. Associated products, such as pond liner, preformed ponds and everything else for the water-garden can also be found here. It may be of some interest that the garden centre itself backs on to some small beautiful lakes housing ornamental waterfowl. The cafeteria overlooks these lakes and is a great place to have lunch and incorporate into your visit. The garden centre also has a wildlife visitor centre and a children's play area. 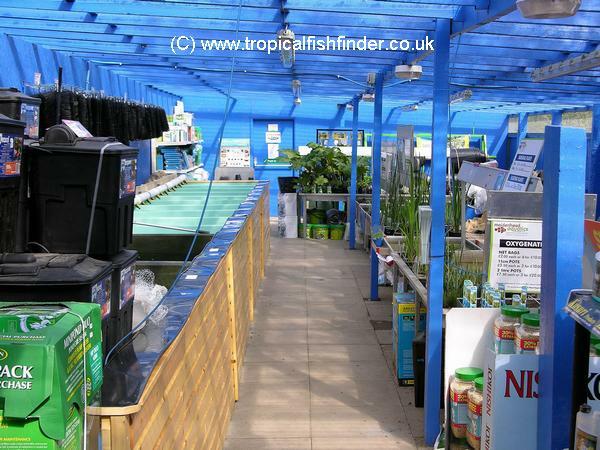 We look forward to meeting you at Maidenhead Aquatics @ Lincoln whether you are just starting out in the fishkeeping hobby or are a more experienced fish enthusiast. Helpful advice is freely given by our friendly and knowledgeable staff, who are all fishkeepers themselves. (Closed only for Christmas Day, Boxing Day and Easter Sunday). We will endeavour to keep our stocklist as up-to-date as is possible. However, as our stock is constantly changing from day-to-day, please phone ahead of your journey to check that the species you are after is still in stock to avoid disappointment. If you would like to receive notifications and special offers from Maidenhead Aquatics @ Lincoln, please add your email address on the right and Maidenhead Aquatics @ Lincoln will email you their newsletter & offers. Contact name: Keith or Steve.